Reverend Patrick Barton will be saying a prayer at the Co-Op Funeral Home on the Ravenhill Road (334 Ravenhill Road, Belfast BT6 8GL) before all leave at 12.30pm for Roselawn Crematorium (service at 1.30pm, Wednesday 24th October). All Rathlin friends are welcome. Liz Withers passed away earlier today after a long illness. Liz's funeral will be held at 1.30pm on Wednesday 24th October at Roselawn Crematorium. Our thoughts and prayers are with George and the rest of the family. Liz "will be remembered always by her family and friends for her warmth, generosity and zest for life. Follow the rainbow." With the island's Post Office (and Island Treasures gift shop) closing for refurbishment from Monday 22nd October until Monday 12th November, some alternative arrangements have been put in place. Stamps will be on sale in the shop during this period, and the bar will provide 'cash-back' style card withdrawals (in addition to the ATM in the bar, which charges a fee for each transaction). 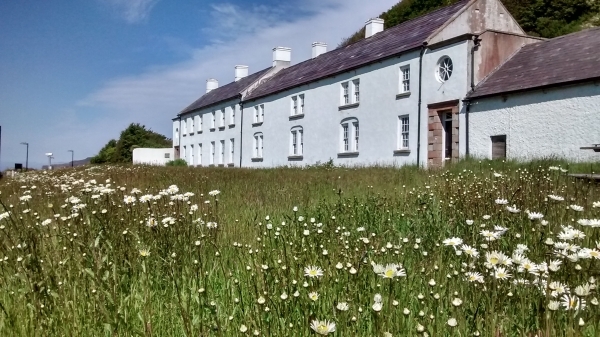 The post box by the Manor House will stay in operation, and the post office will also try to facilitate other outward post - contact Catriona on 078 6866 3283 if required. St Mary's Primary School are celebrating the refurbishment of the school on Tuesday 23rd October. Mass will be held at 11.30am followed by refreshments in the Parochial Hall. All are welcome. The fortnightly brown bin collection of mixed food and garden waste will commence on Thursday 25th October. This is the same week as the fortnightly blue bin collection. If you have any queries, please contact the Council on 028 2766 0248. The RDCA's 2018 AGM was held last Friday 5th October. In a change from the usual arrangements, it was held earlier in the evening, and on a Friday, and in the restaurant of McCuaig's Bar instead of the Hall, and attendees were offered a full hot meal, with the result that we had a much larger turnout than normal, with over seventy island residents attending. 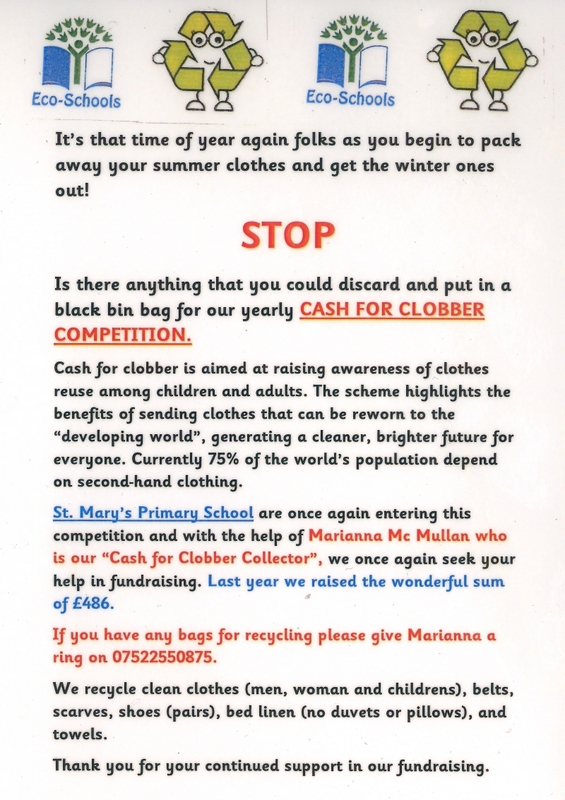 St Mary's Primary School is again looking to collect old clothes, bed linen and towels to help raise funds for the school. There has been a change to the usual procedure for those that require the flu vaccine. Over 65s can receive the vaccine with Nurse Keira during the next scheduled GP visit, when Dr Robinson from the McLister/O'Kane practice visits the island on Wednesday 21st November. See the event listing for more information. The Post Office and Island Treasures will be closed from Monday 22nd of October until Monday 12th of November. This is to facilitate essential internal building work, which will be carried out during this time.